The 2018 Placitas garden tour will feature members of the Albuquerque Daylily Society at the Placitas Community Library selling daylilies and answering your questions on daylilies and daylily care. The daylilies go quickly so arrive early for the best selection. A daylily is a flowering plant in the genus Hemerocallis. Gardening enthusiasts and professional horticulturalists have long bred daylily species for their attractive flowers. 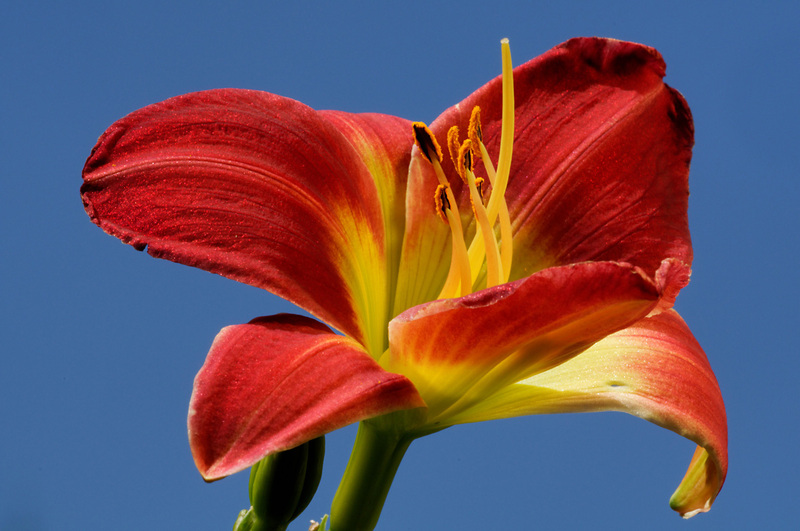 Thousands of cultivars have been registered by local and international Hemerocallis societies such as the American Hemerocallis Society and the Albuquerque Daylily Society. 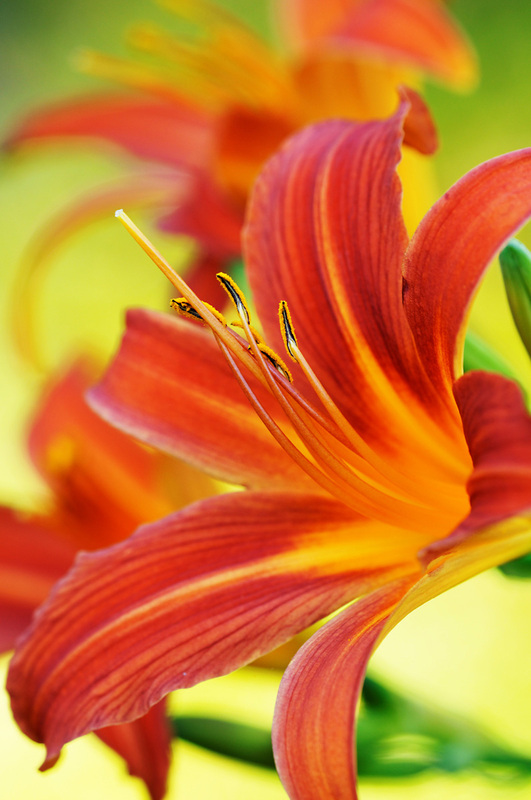 Daylilies are perennial plants, whose name alludes to the flowers which typically last no more than 24 hours. The flowers of most species open in early morning and wither during the following night, possibly replaced by another one on the same scape (flower stalk) the next day. Some species are night-blooming. Hemerocallis is native to Asia, primarily eastern Asia, including China, Korea, and Japan. This genus is popular worldwide because of the showy flowers and hardiness of many kinds. There are over 80,000 registered cultivars. Hundreds of cultivars have fragrant flowers, and more scented cultivars are appearing more frequently in northern hybridization programs. Some earlier blooming cultivars rebloom later in the season, particularly if their capsules, in which seeds are developing, are removed. 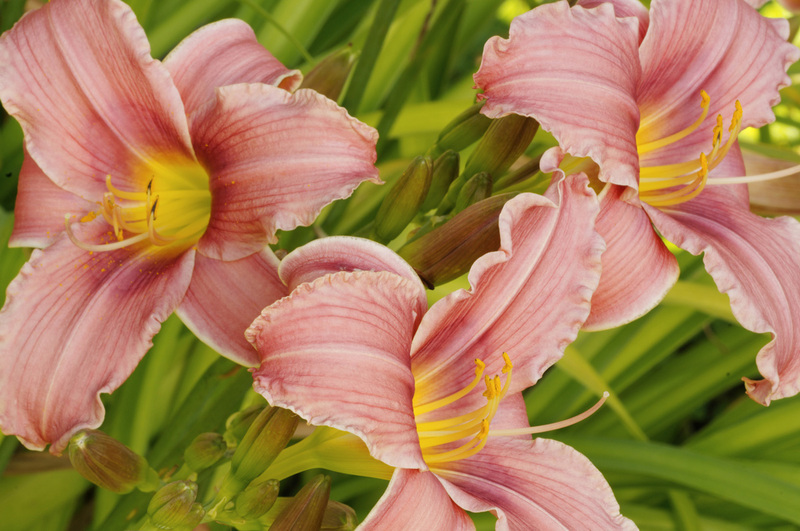 Most kinds of daylilies occur as clumps, each of which has leaves, a crown, flowers, and roots. The long, linear lanceolate leaves are grouped into opposite fans with arching leaves. The crown is the small white portion between the leaves and the roots. 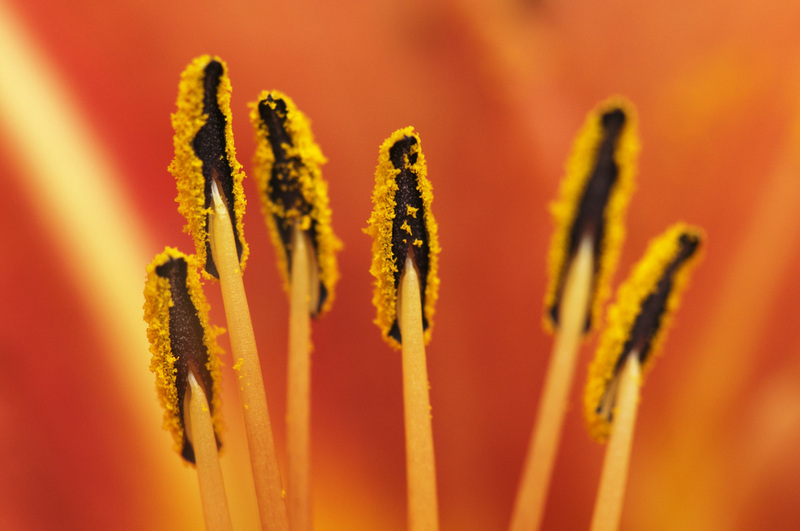 Many kinds of daylilies have thickened roots in which they store food and water. A normal, single daylily flower has three petals and three sepals, collectively called tepals, each with a midrib in either the same basic color or a different color. The centermost part of the flower, called the throat, usually is of a different color than the more distal areas of the tepals. Each flower usually has six stamens, each with a two-lobed anther. After successful pollination, a flower forms a botanical capsule (often erroneously called a pod since botanical pods are found in Fabaceae, not Hemerocallis). 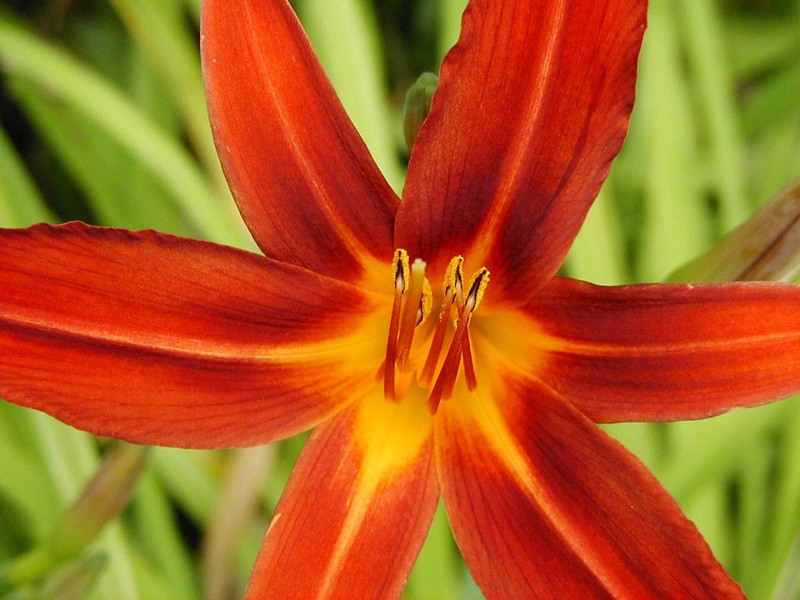 Hemerocallis species are toxic to cats and ingestion may be fatal. Treatment is usually successful if started before renal failure has developed. The daylily is often called “the perfect perennial”, due to its brilliant colors, ability to tolerate drought and frost and to thrive in many different climate zones, and generally low maintenance. It is a vigorous perennial that lasts for many years in a garden, with very little care and adapts to many different soil and light conditions. 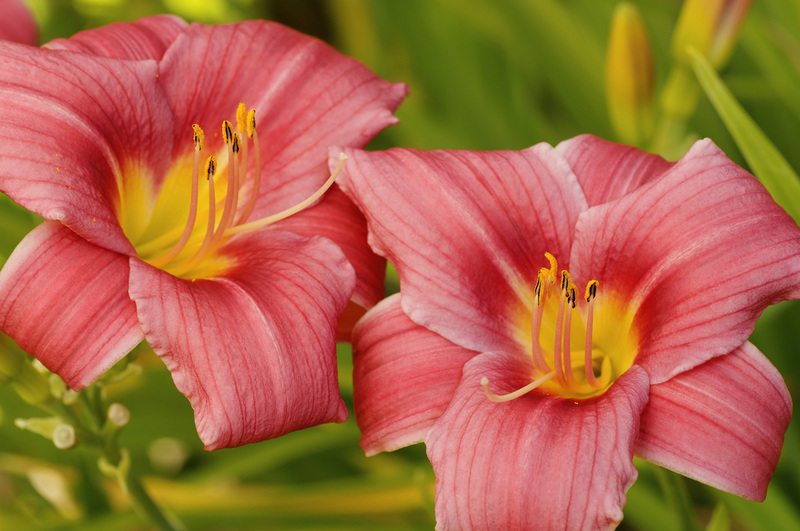 Daylilies have a relatively short blooming period, depending on the type. Some will bloom in early spring while others wait until the summer or even autumn. 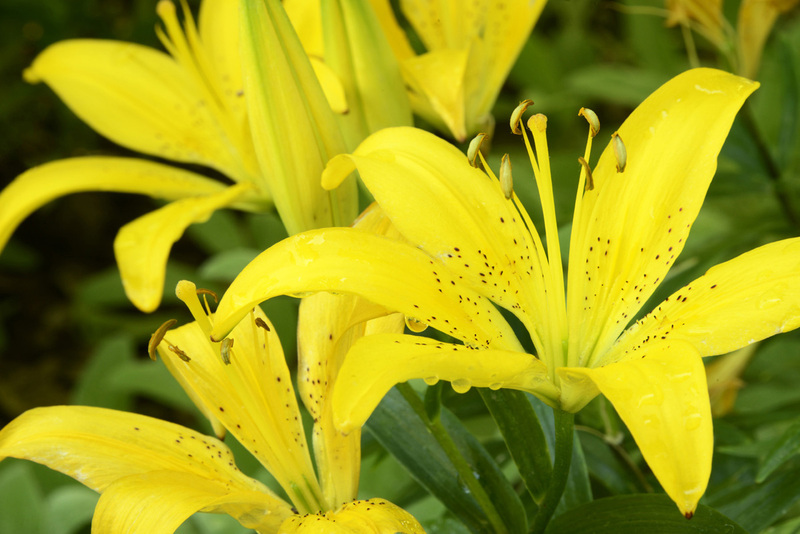 Most daylily plants bloom for 1 through 5 weeks, although some bloom twice in one season. The Orange Daylily (Hemerocallis fulva), and the sweet-scented Lemon-lily (H. lilioasphodelus; H. flava, old name) were early imports from England to 17th-century American gardens and soon escaped from gardens. The introduced Orange Daylily, although not a true lily, is now common in many natural areas, where it is considered an invasive. Hemerocallis lilioasphodelus gained the Royal Horticultural Society’s Award of Garden Merit.